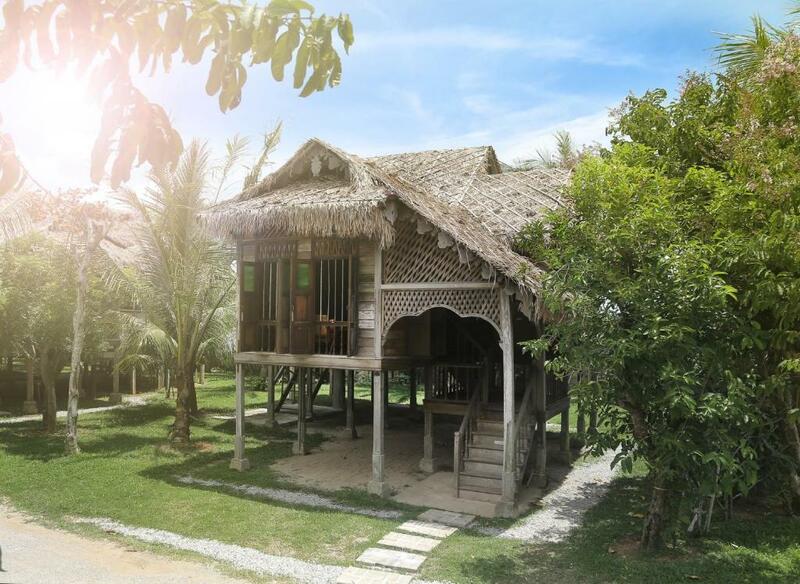 Lock in a great price for Kunang Kunang Heritage Villa - rated 9.2 by recent guests. Wonderful just amazing place, very interesting, very lucky to have found it. Exceptional idea like sleeping in a museum, attention to detail second to none. Hope more hotels take this approach to local history. We had already booked a hotel on Langkawi, but decided to extend our stay by 1 night. When looking for a hotel for that extra night, we found this hotel and thought "ok let's try this". But in the end, we wished we would have stayed here much longer. Great "pool in a lake" (don't know how I can escribe this), fantastic very spacious villas, food was great, staff was great, very welcoming and very much willing to help. Amazing hotel, the villa is very heritage style beautiful clean. I liked the pool it’s inside the lake with a very beautiful view and green trees green grass. Very calm place to relax and to get rid of all the daily routine stress. We (2+2) spent 9 days in Kunang Kunang Heritage Villa. This is a great place with very friendly staff. I personally believe that 9 days is way too long to stay in Langkawi (5-6 nights would be more than enough). Kunang Kunang Heritage Villa has made this long stay very nice and relaxing. The heritage villas at Kunang Kunang are absolutely beautiful. I could not get enough of the architecture and decor in the reception area. There is so much attention to detail within the decoration of the villa we stayed in as well, I was happy to lounge around the villa (maybe a bit too much haha) The Breakfast is simple and nice, with a variety between continental breakfast items and Malaysian breakfast items, with juice, water, cofee or tea. The choice of some breakfast items changes daily. The hotel is easy to get to from the airport via Grab or Taxi, it is not walkable. Beautiful traditional houses with all the amenities needed. Very helpful and friendly staff. Good value for money. A true Malaysian experience. Love the traditional houses with the antique furnitures, the staff is very friendly and efficient! Perfect for couple stay! I know it's said that you can capture beauty and personalities in photographs but I'm afraid in this case it wouldn't do these people and this establishment justice. The people, the accommodation, the setting, the resort, the breakfast, all the food, the whole shebang... Buddy your staff are a credit to you and your ethos. I cannot recommend this little piece of paradise highly enough. We loved every minute, so peaceful and huts/houses are amazing, please don't think twice about visiting this place to escape from it all and enter a little bit of paradise. One of our bestsellers in Pantai Cenang! Kunang Kunang Heritage Villa is situated in Pantai Cenang, 2.1 miles from The Rice Museum, and features an outdoor swimming pool and a garden. Around 3.7 miles from Underwater World Langkawi, the property is also 5 miles away from Mahsuri Mausoleum and offers free WiFi. Guests can enjoy a drink at the bar or a meal in the restaurant. Guests at the resort can enjoy a continental or a buffet breakfast. Bike hire and car hire are available at this resort and the area is popular for cycling. The nearest airport is Langkawi, 3.7 miles from Kunang Kunang Heritage Villa, and the property offers a paid airport shuttle service. Kunang Kunang Heritage Villa has been welcoming Booking.com guests since 12 Nov 2017. When would you like to stay at Kunang Kunang Heritage Villa? This villa has a minibar and air conditioning. This villa features a balcony, private entrance and sofa. This villa has a balcony, patio and air conditioning. This villa has a balcony, bathrobe and sofa. This villa features a balcony, view and seating area. House rules Kunang Kunang Heritage Villa takes special requests - add in the next step! All children under 12 years are charged MYR 80 per night for extra beds. All further older children or adults are charged MYR 80 per night for extra beds. Kunang Kunang Heritage Villa accepts these cards and reserves the right to temporarily hold an amount prior to arrival. The evening meal mine & my partners. My green fish curry had a wonderful sauce but the fish was frozen. His was average, battered prawns they just need to be grilled. There was nothing that we wouldnt like...maybe a small negative was that airport is very close and some mornings we woke up to sounds of heavy army jumbo taking off.. it is totally out of resort hands though.. I loved everything instead of the breakfast. They must put more variety such as different kinds of cheese, croissant for example. They are very nice if I asked anything and they have the staff will directly proceed with our requests. Occasionally you do hear airplanes go by due to the proximity to the airport, it doesn't bother me but just for reference.